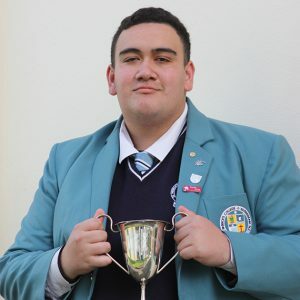 More award winners are featured in this second part of WelCom’s coverage of the 2016 O’Shea speech and drama competition held at Sacred Heart Girls College New Plymouth in May. 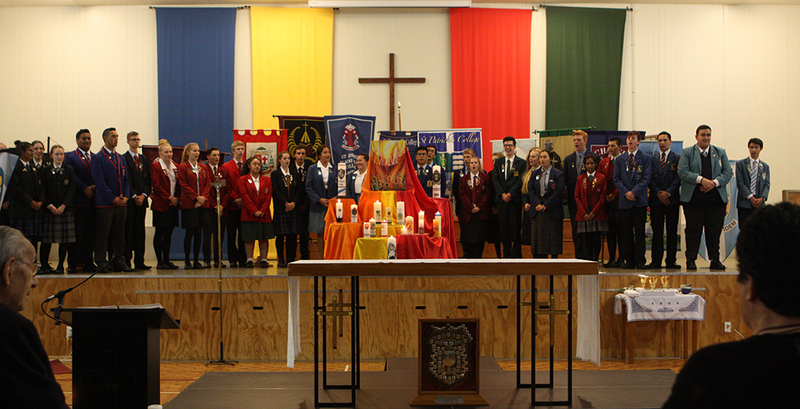 O’Shea teams assemble at the start of Sunday Mass presided by Bishop Charles Drennan. 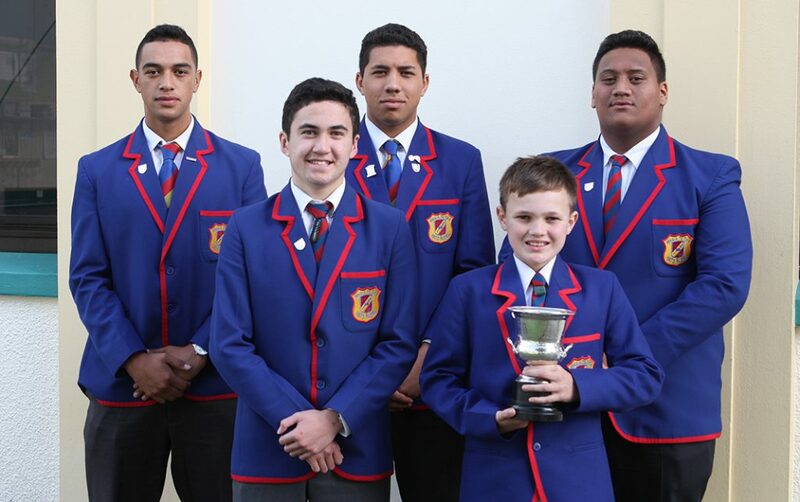 Hāto Pāora College’s team won the Society of Mary’s Cup for Drama (l-r): Dion Hunt, Matuakore Hook, Jed Te Aho, Cormac Millar, Rākaiao Nuri. 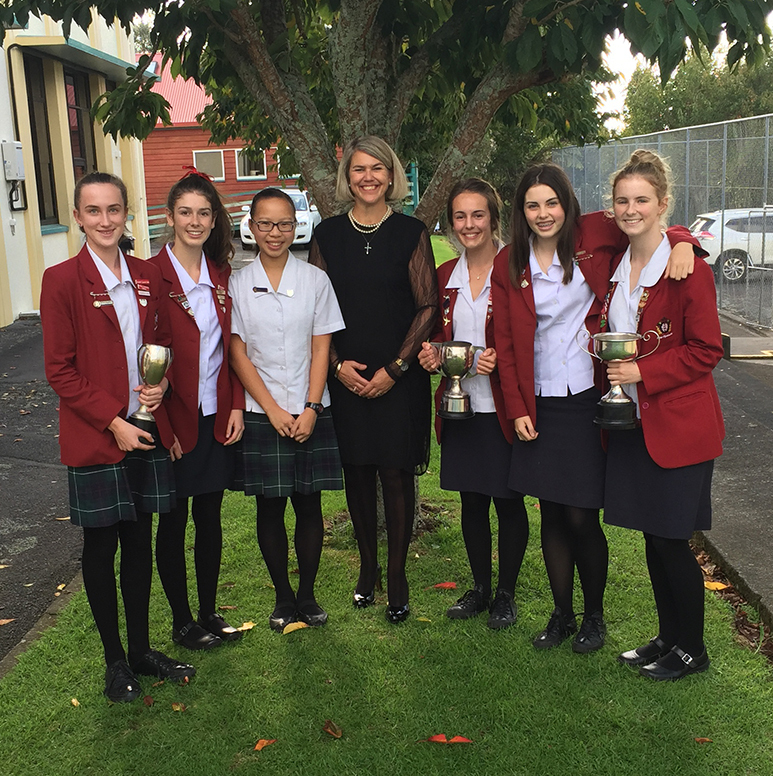 New Plymouth winners are (l-r) Eugénie Chylek-Peters (Junior Speech); Pennymay Symonds, Frances Chow, Paula Wells (Principal), Janaya Horgan and Hannah Coleman (Religious Questions), Margaret Wells (Scripture Reading). St Patrick’s College Silverstream’s Albert Fairbrother won the Bishop Cullinane Cup for Oratory, Section B.